Also in the new issue of Us Weekly, Hart of Dixie star Rachel Bilson is featured in this week’s ’25 Things You Don’t Know About Me.’ Here’s a quick look at some of the things fans might not know about her. In “Hot Hollywood” section, Us Weekly takes a look at just how much celebrities charge to make appearances. Kristin Stewart, star of the Twilight franchise, charged $500,000 just to spend fifteen minutes with a prince that donated money to the Hurricane Sandy relief fund. And veteran action star Sylvester Stallone was at the recent New York Comic Con, charging $445 for photos. The features noted here are just part of what readers have to look forward to in the new issue of Us Weekly. The November 11th issue also includes features on Prince George, Kerry Washington’s pregnancy, and an exclusive interview with Dallas Buyers Club star Matthew McConaughey. 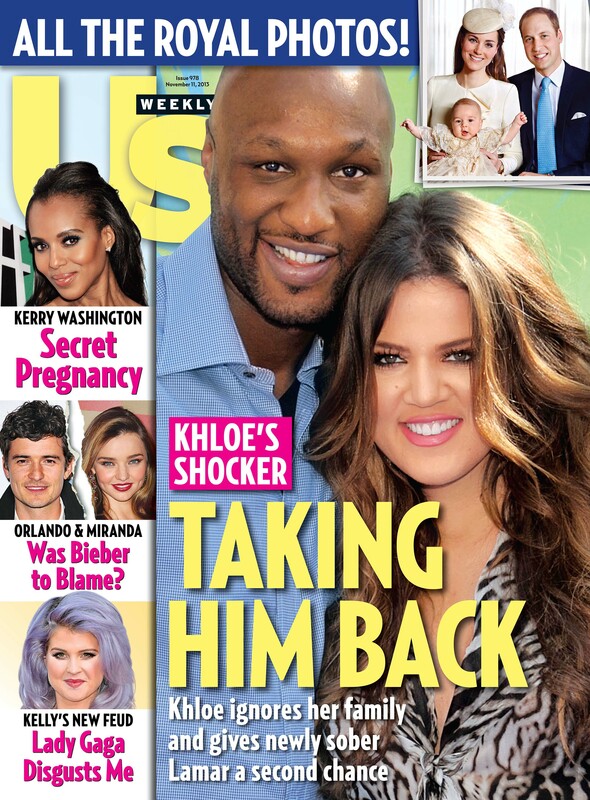 That’s all in the new issue of Us Weekly. More information on this and other stories from Us Weekly is available online at http://www.facebook.com/UsWeekly and http://www.UsMagazine.com. To keep up with the latest sports and entertainment news and reviews, go online to http://www.facebook.com/philspicks and “Like” it. Fans can always keep up with the latest sports and entertainment news and reviews in the Phil’s Picks blog at https://philspicks.wordpress.com. Movies based on actual events make up one of the largest genres of movies in the modern movie industry. From stories centered on legal cases to sports to everything else in between, movies based on actual events are more bountiful than the egos that fill the movie industry today. That’s saying something. Keeping this in mind, it’s easy to discount so many of those movies, whether they be big budget or independent. And then there are those such as the recent megahit, Zero Dark Thirty that was anything but passable. It was a definite hit for a variety of reasons. Ironically, as big of a hit as it was, it actually came after a far lesser known, but just as enjoyable story in Anchor Bay Entertainment’s, Seal Team Six: The Raid on Osama Bin Laden. It leaves one wondering what prevented this surprisingly entertaining story from gaining the fame and success of its big blockbuster brother. The most obvious of reasons why Seal Team Six: The Raid on Osama Bin Laden didn’t gain the fame of Zero Dark Thirty is that the prior was an indie flick, while the other was backed by a major studio. Despite the fact that it was backed by an independent studio, Seal Team Six: The Raid on Osama Bin Laden is surprisingly entertaining. Any viewer that was a fan of CBS’ short-lived military drama The Unit or Entertainment One’s more recent military action/thriller, Special Forces will enjoy this movie. It may not have the deep drama-filled storyline of Zero Dark Thirty or the major special effects, etc. But it still manages to hold its own against its big brother. As was noted in the movie’s bonus “Making of” featurette, those behind the camera did not set out to make it another Zero Dark Thirty. It’s obvious this statement was made after the movie in question had been released, considering that this movie was released before the other. That aside, it’s good to know that it didn’t want to be about all the extra drama that surrounded the raid before and after. That it focused mainly on the raid itself and the men that carried out the orders is perhaps another reason that it wasn’t as warmly welcomed as its big screen counterpart. One of the most important factors pointed out in the “Making of” featurette that accompanies this movie is its tri-pointed story approach. It’s noted that the story is told from the vantage point of not just the members of Seal Team Six, but also from the point of the CIA operatives in Washington, D.C., and from a pair of intelligence gatherers inside Pakistan. The three points eventually intersect for the final action filled sequence that will have viewers on the edge of their seats. What is most impressive of the three stories is that the melodrama between Cherry (Anson Mount – Hell on Wheels) and Stunner (Cam Gigandet—The O.C., Twilight, Twilight: Breaking Dawn Part 2, Easy A) is kept to an extreme minimum. This allows the story to progress much more smoothly and stay focused on the central story of the operation to take Bin Laden. In turn, the story’s pacing never lets up, thus keeping viewers engaged throughout the story’s hour and a half run time. 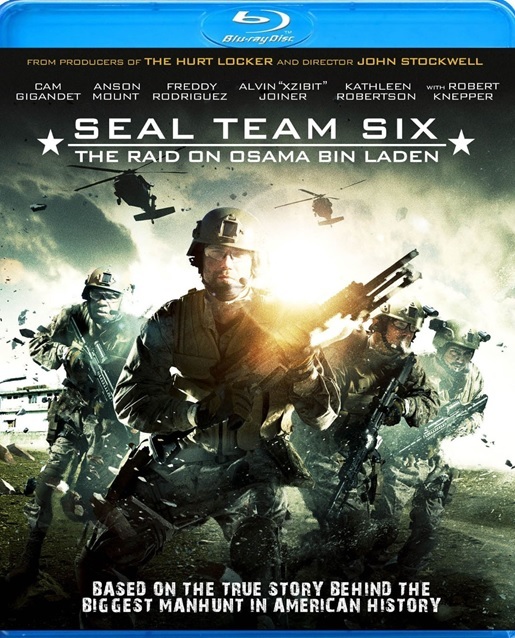 The script’s limited melodrama is the tip of the iceberg for Seal Team Six: The Raid on Osama Bin Laden in keeping audiences engaged. Keeping the melodrama to an extreme minimum allows for more time for action and focus on story development from all three perspectives. Instead of wasting unnecessary amounts of time focusing on each member’s personal and family drama, it instead used that time to develop the characters themselves and build tension as preparations began for the operation to take Bin Laden. Throughout the course of these developments, the script’s pacing never lets up. This is the center of everything. The pacing is never too fast or slow. This combined with the minimalist drama and energy packed action scenes all come together to make this movie an underappreciated military action movie. It proves, in the end, to be a movie that while it may be a TV movie, is still one that is worth at least one watch by fans of this genre now that it is available on DVD and Blu-ray. It can be ordered online direct from Anchor Bay’s official website at http://www.anchorbayentertainment.com/detail.aspx?projectID=78fae55b-2924-e211-a8d1-d4ae527c3b65. Fans of this movie can keep up with even more from Anchor Bay on its official Facebook page, http://www.facebook.com/AnchorBayEntertainmentCanada.